As possibly one of Asia's most respected and prominent producers, Louis Tan aka LTN, has seen growing successes of late with his approach to the increasingly saturated progressive world. Steadily, he’s been making a name for himself with thought out productions. Now, his first studio album 'People I'll Never Forget' gets a release date of 11 May. Staying true to form, 'People I'll Never Forget' features an extensive range of vocalists and collaborators. 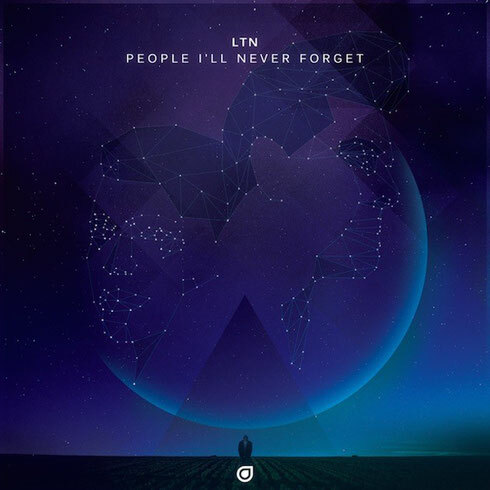 From Arielle Maren to Christina Novelli, the album showcases LTN's ability to combine some of the biggest talents and rising stars with graceful, driving trance. Contrived of brand new and exclusive material, the albums sees him explore the full spectrum in a well-rounded album. From introducing affairs with the elegant 'Autumn Leaves' and building momentum with the drifting melodies of 'Fuego De Amor' and 'A Different Side of You’, he builds a stylish ebb and flow within tracks like 'Crystalline' and 'Just Another Man’. Bringing things back down to earth with the likes of 'Illusions' and 'Here I Am Again', 'People I'll Never Forget' glides away with three exclusive to iTunes Bonus Tracks which, in their extended form, bring the album to a close.